Andrew Shaw is auctioning off a piece of Blackhawks history for charity, but it's not your typical signed-uniform memorabilia. Starting Aug. 15, fans can bid on the actual stitches Shaw received after he took a puck to the face in the first period of Game 6 of the Stanley Cup Finals. The auction runs 10 days and benefits the Jimmy V Foundation for Cancer Research, founded by ESPN and Jim Valvano in 1993. The foundation notes other items will also be included in the auction through Aug. 25. 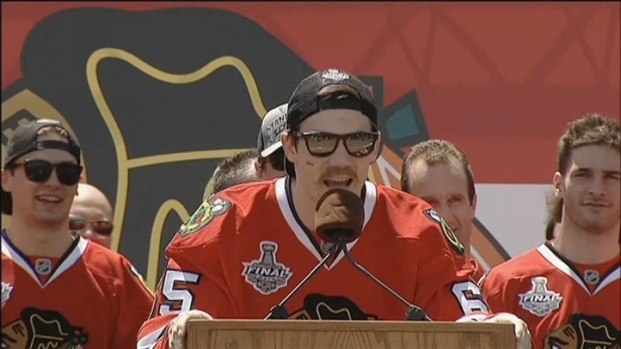 The little guy with a big heart, Andrew Shaw -- he how took a puck to the face in the final game -- took to the stage and gave Chicago a big Woooohoooo. All proceeds from Shaw's stitches will be allocated to breast cancer research, according to the foundation. As for Shaw, he tumbled unconscious onto the ice after the injury but returned to the Blackhawks' bench for the start of the second period. 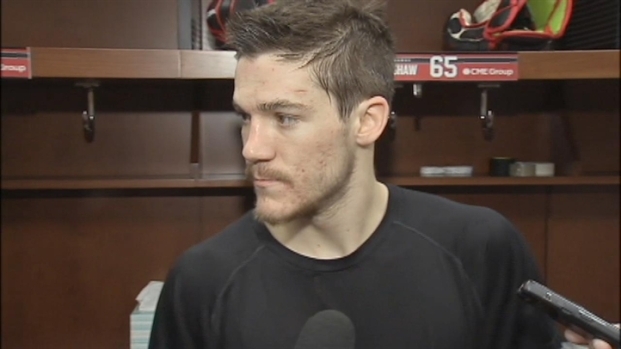 Andrew Shaw got caught up in the moments of Game 3 against the Red Wings. 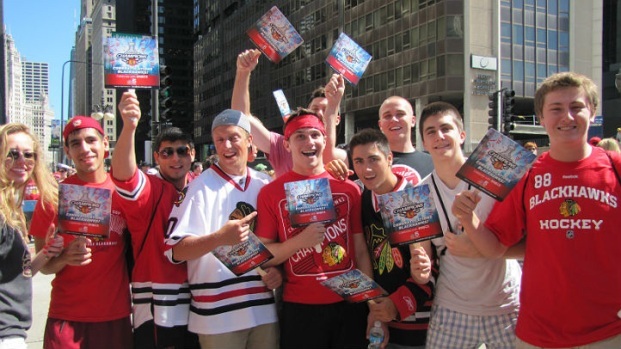 Thursday night, the Blackhawks young winger knows he must stay disciplined in Game 4.